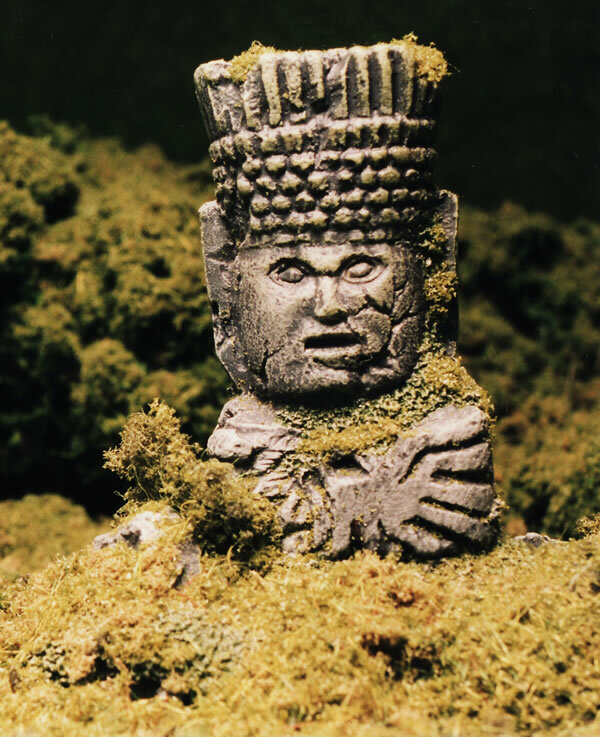 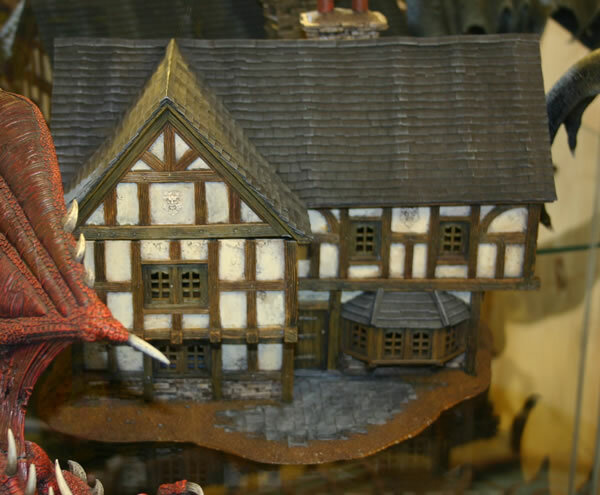 These pictures are of miniatures from various collections and shows. 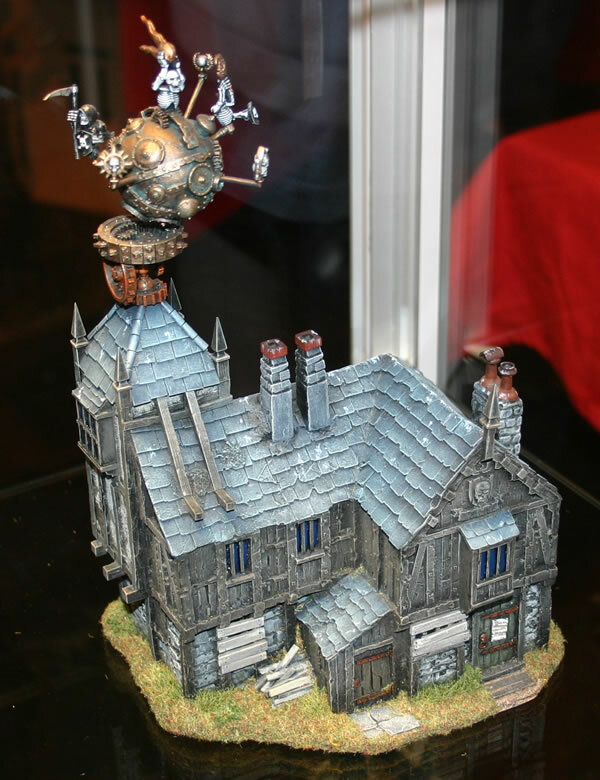 A building with some wierd undead type thing on the roof. 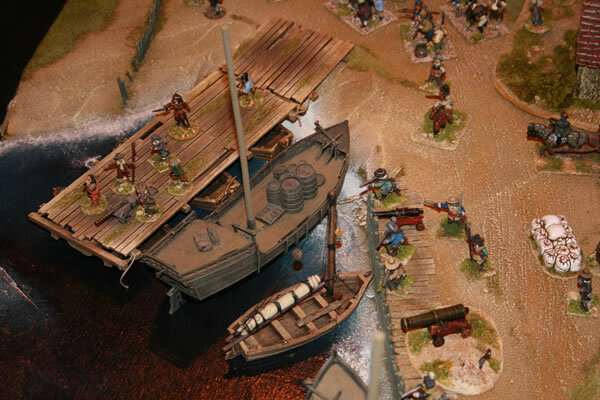 A wonderful boat building combination. 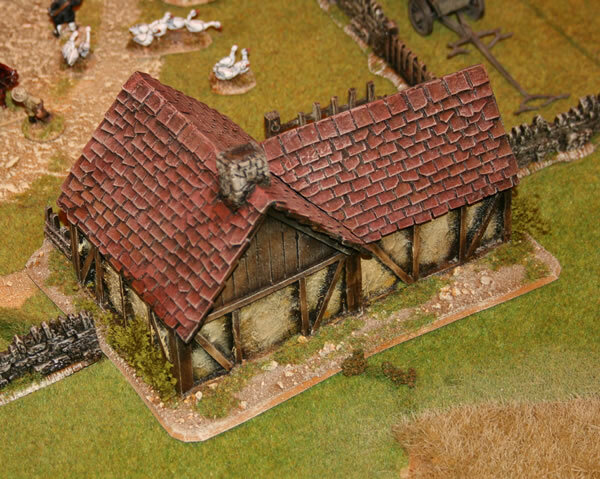 Wonderful creations from the talented hands of Dave Andrews. 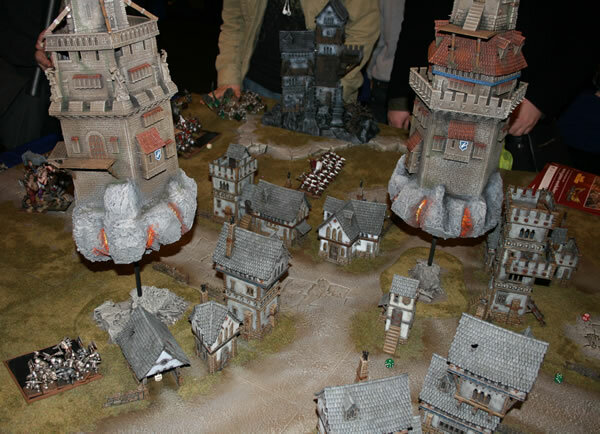 Demonstration game at GamesDay 2010. 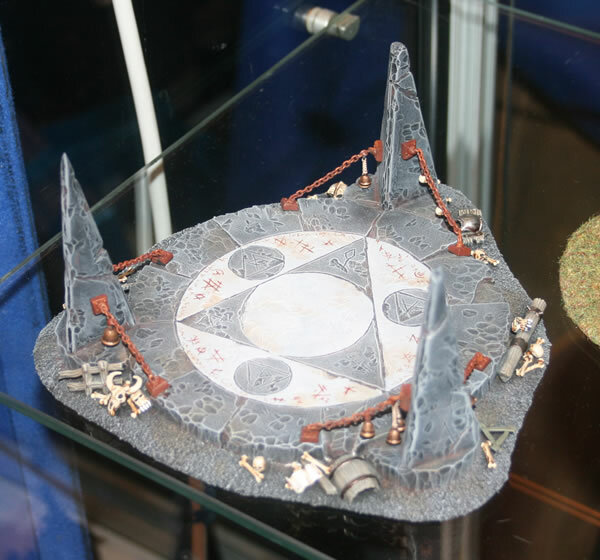 Gaming Table in Warhammer World. 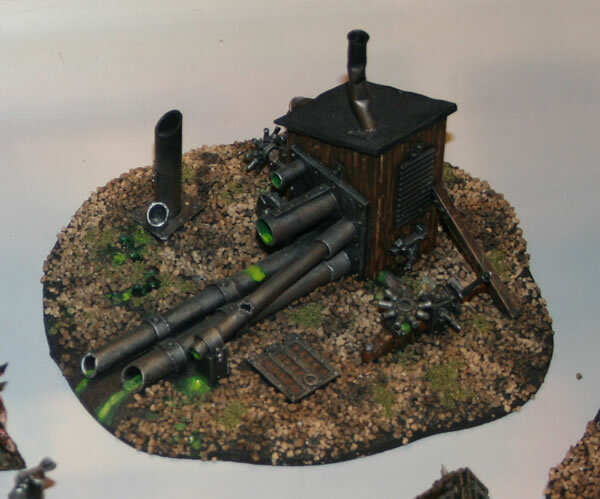 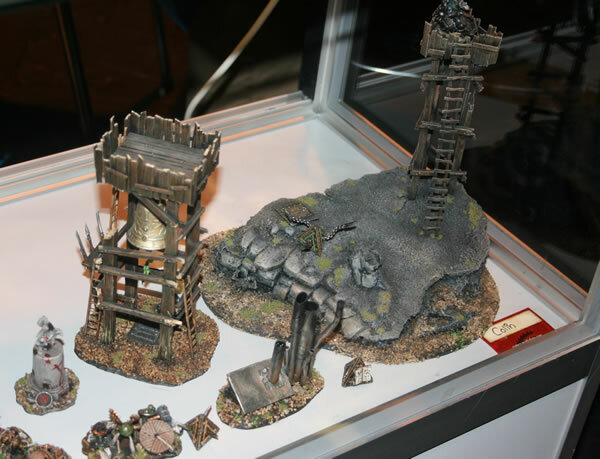 Skaven scenery from GamesDay 2010. 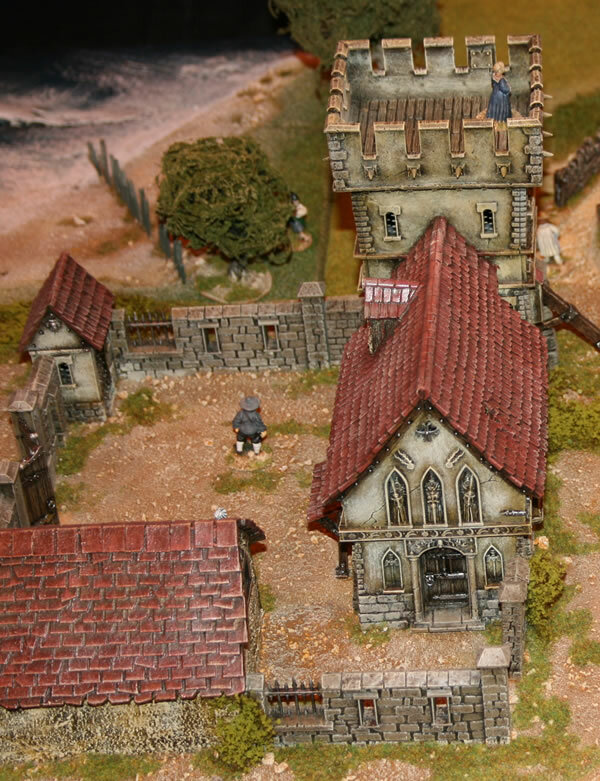 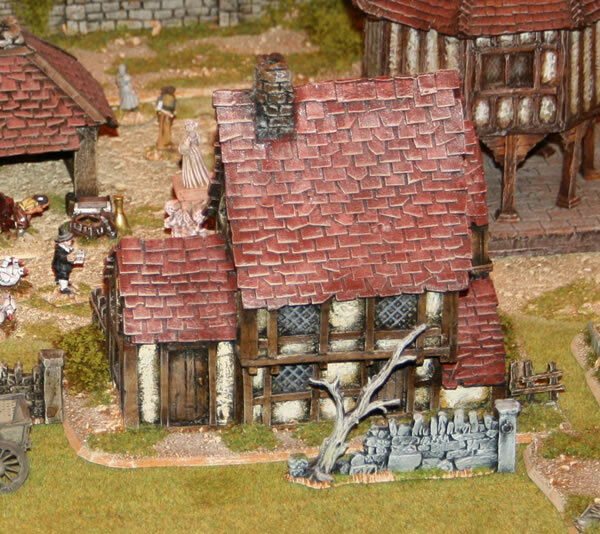 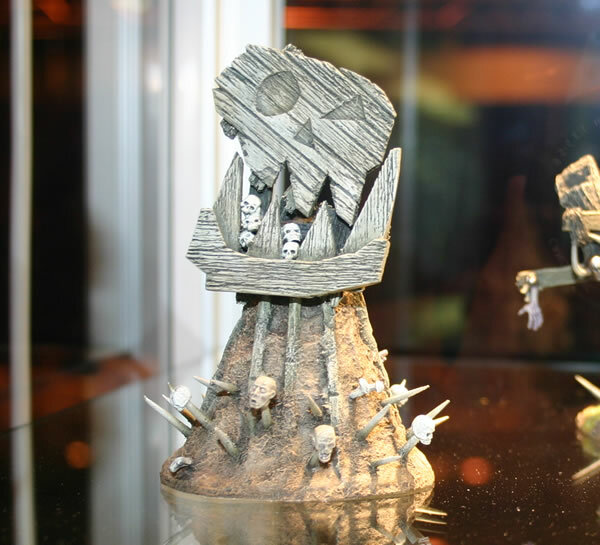 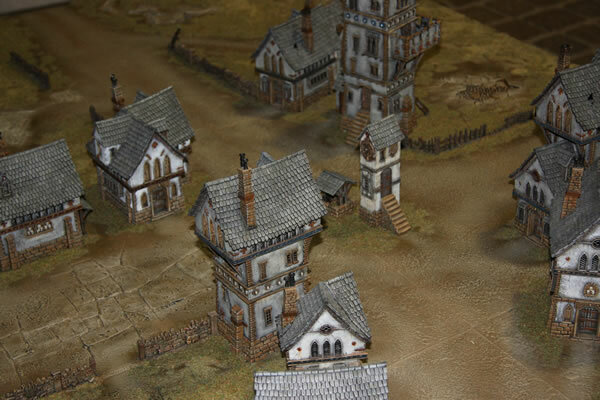 Though from a Warhammer Historical game at GamesDay 2007, this hamlet would not look out of place in a game of Warhammer Fantasy Battle. 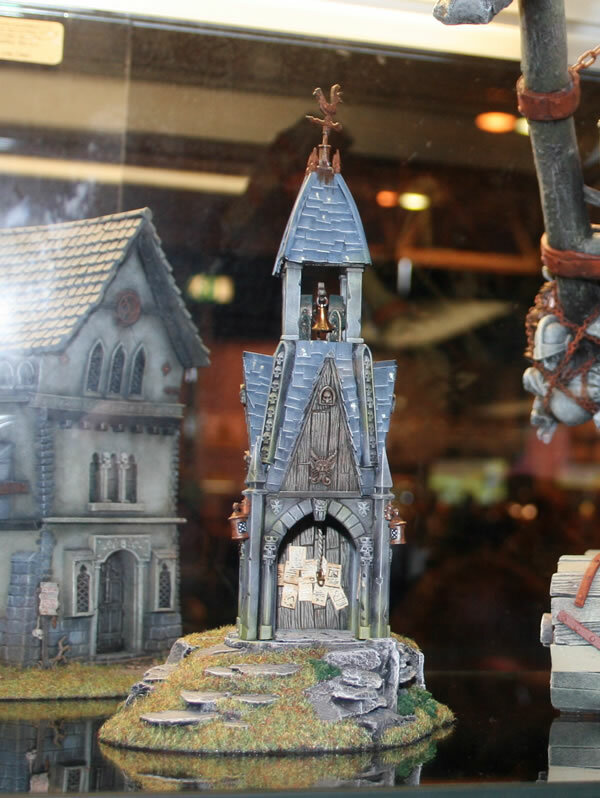 Forgeworld Coaching Inn from the Forgeworld Displays. 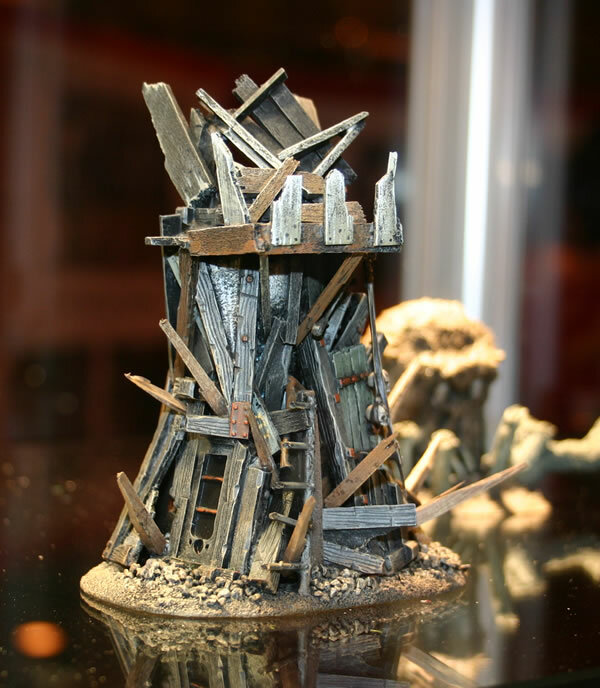 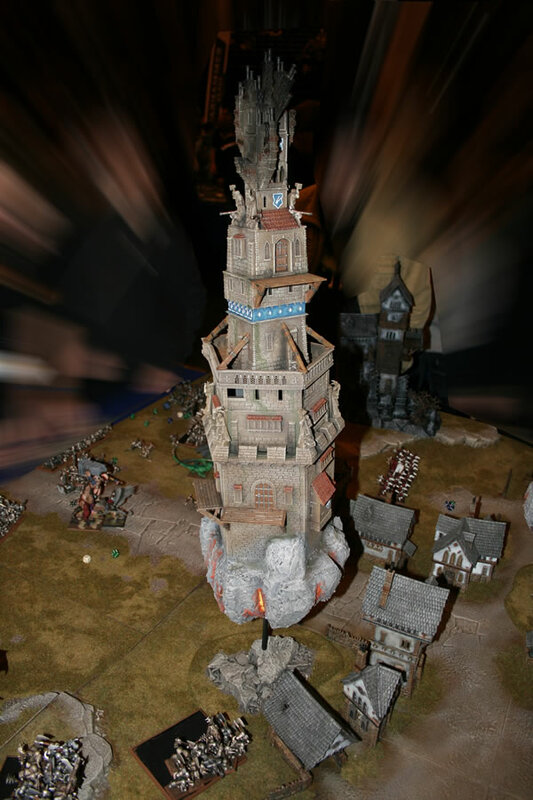 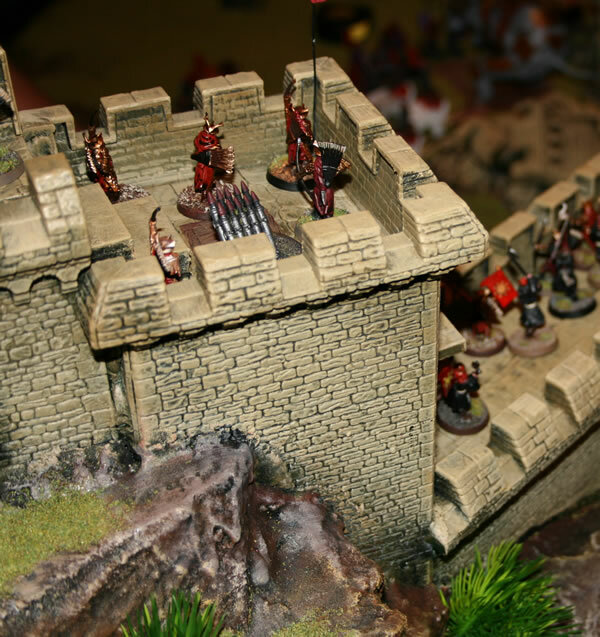 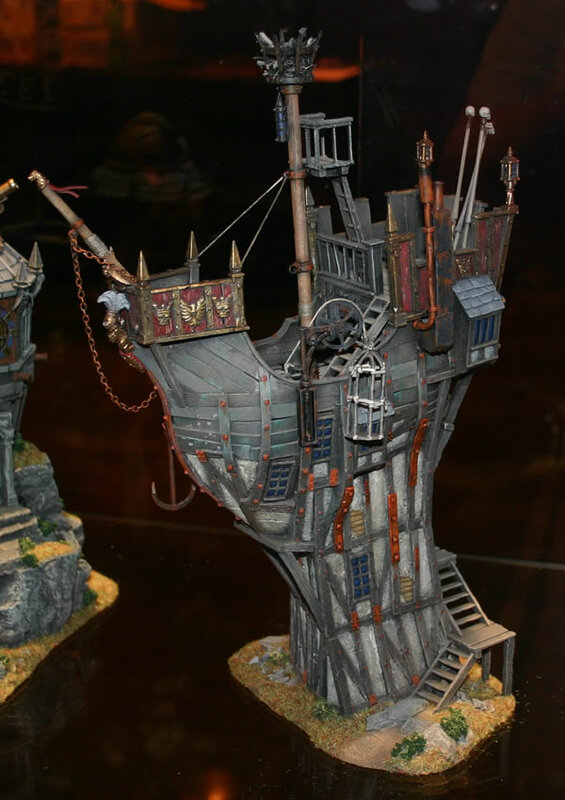 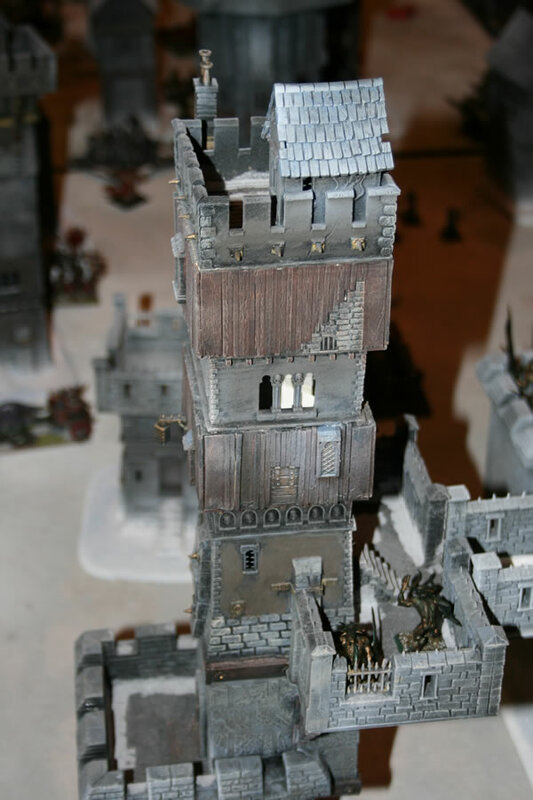 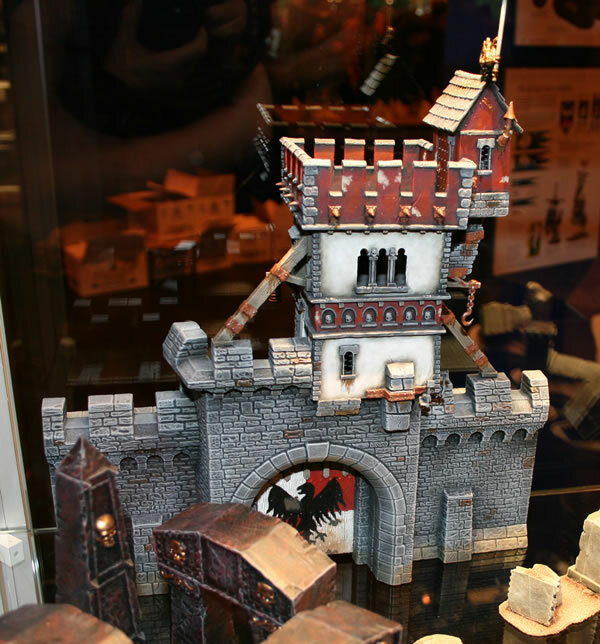 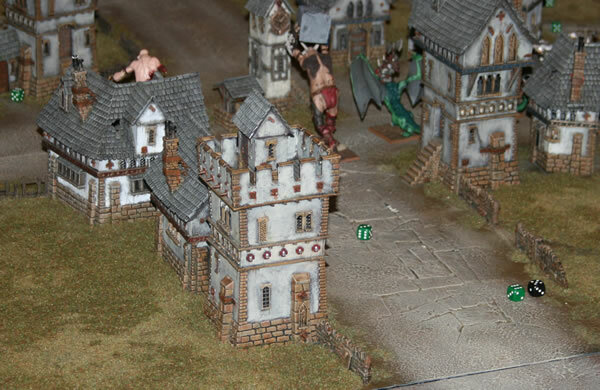 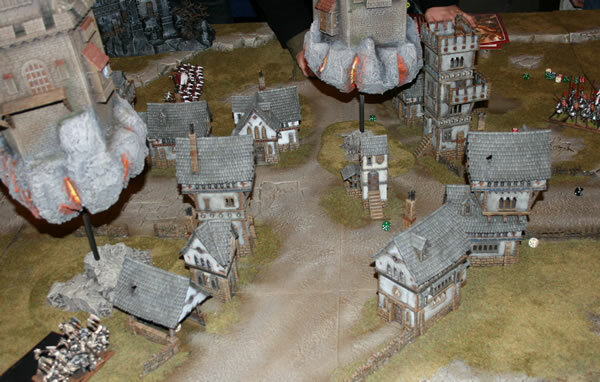 This was a beautiful Warhammer Fantasy demonstration games which was displayed at GamesDay 2008 in the UK. 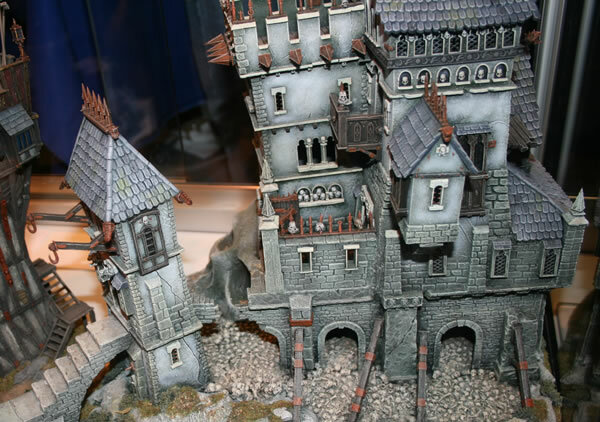 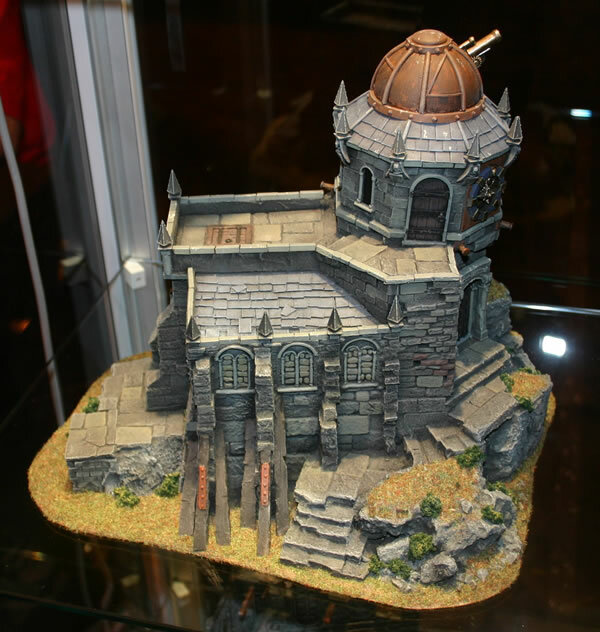 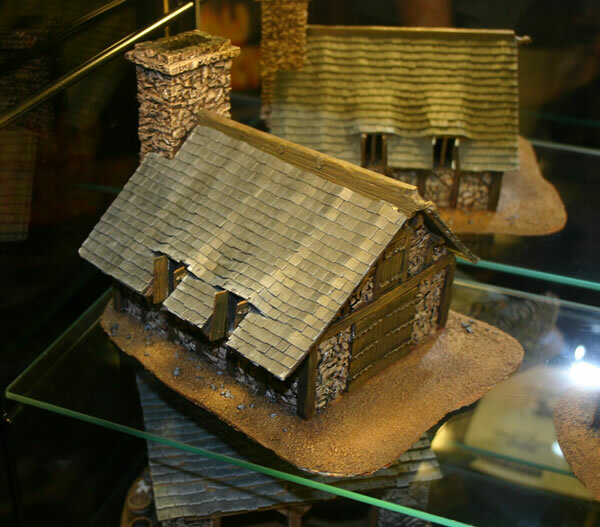 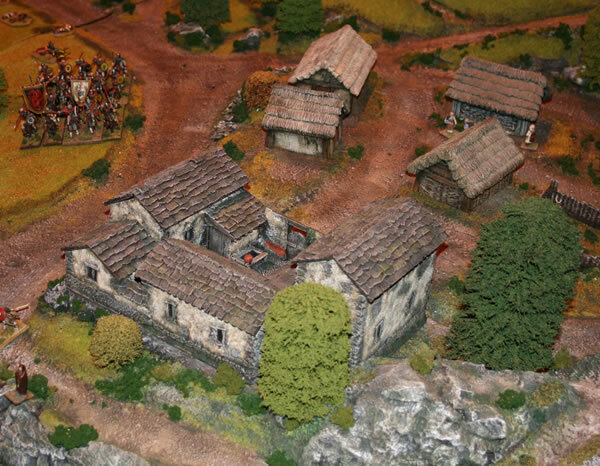 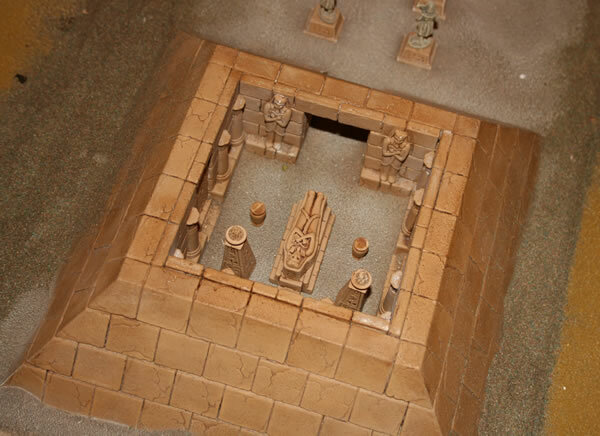 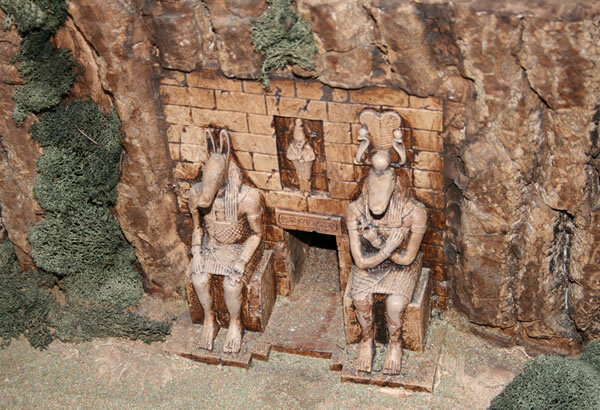 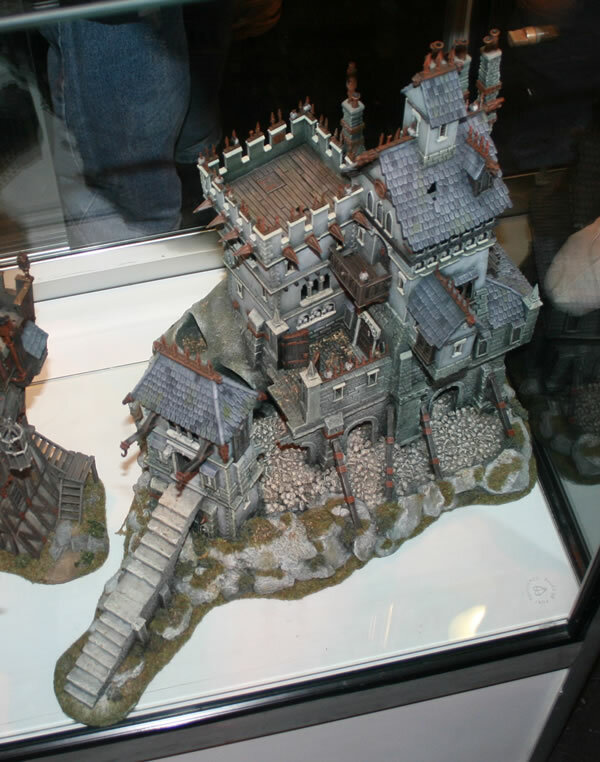 There are various Games Workshop plastic kits on the table, such as the Manor House here. 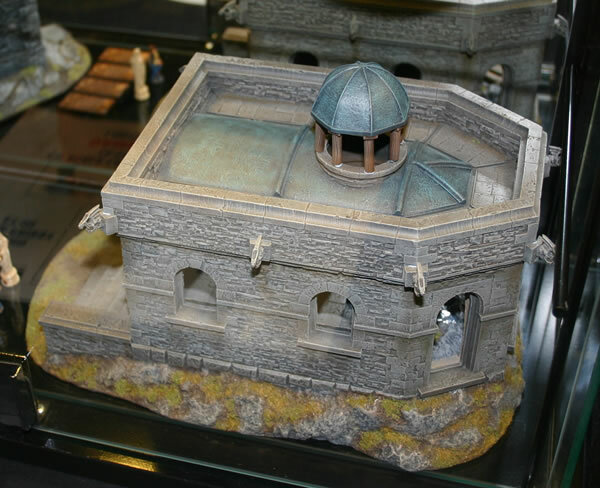 Resin buildings from other maufacturers were also present, including this market place. 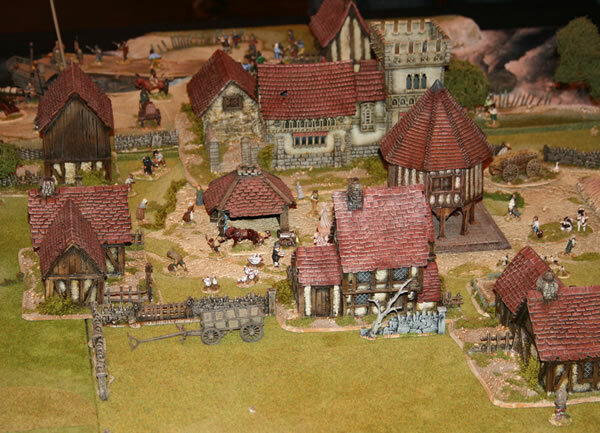 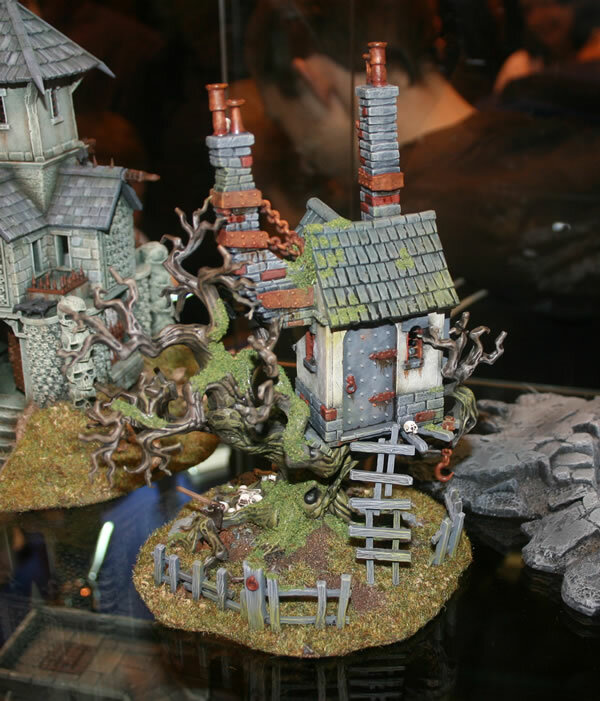 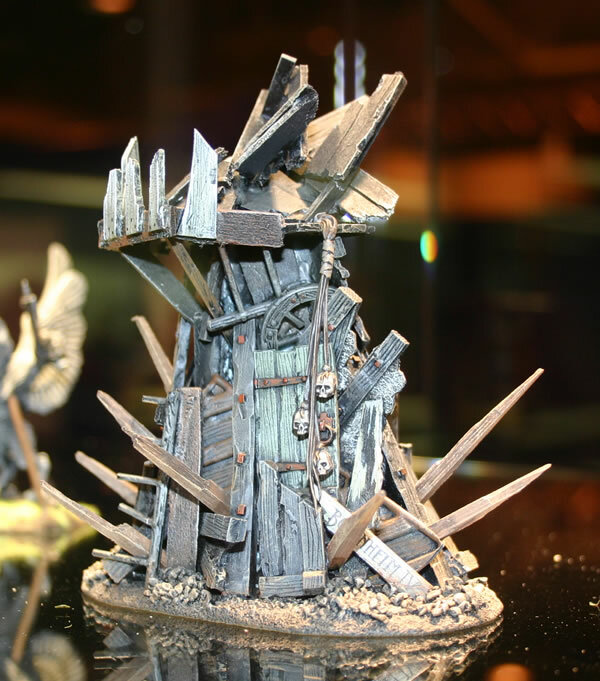 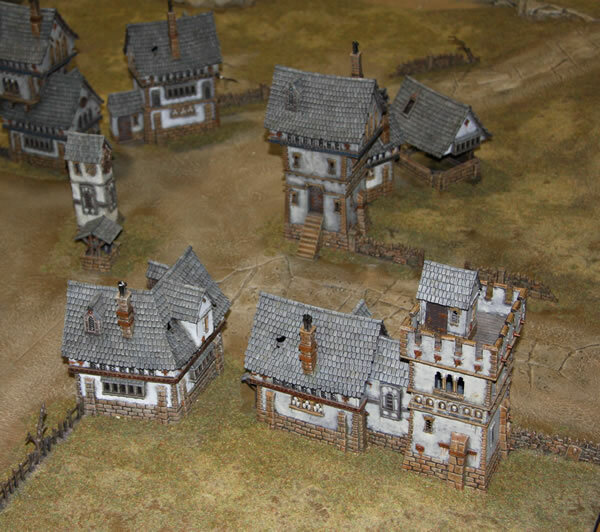 This farm was part of a beautiful Warhammer Fantasy demonstration games which was displayed at GamesDay 2008 in the UK. 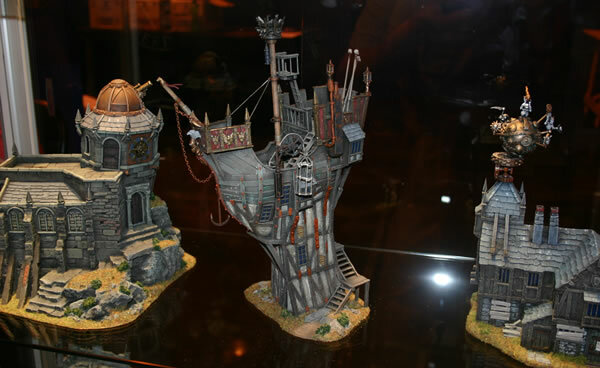 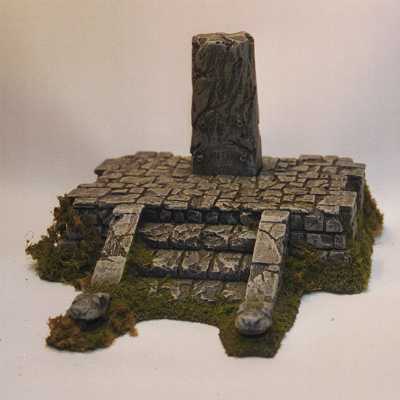 Very nicely painted and really works well together, made for an impressive table for gaming. 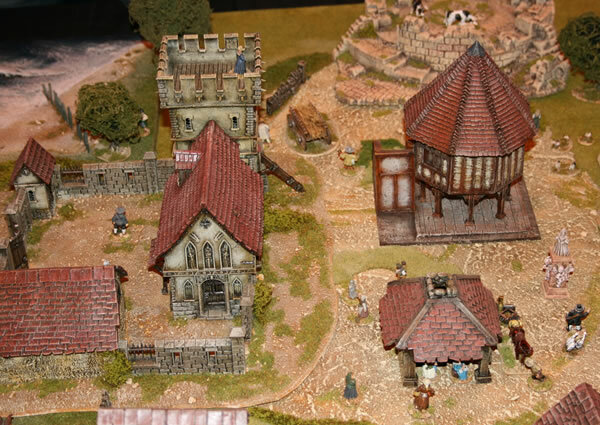 From a demonstration game at GamesDay 2007. 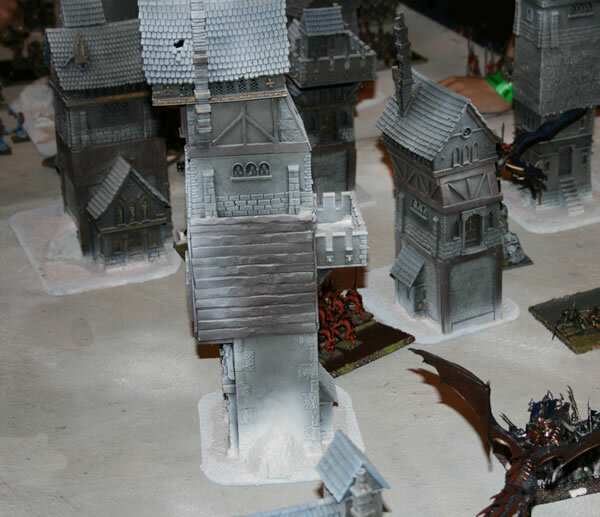 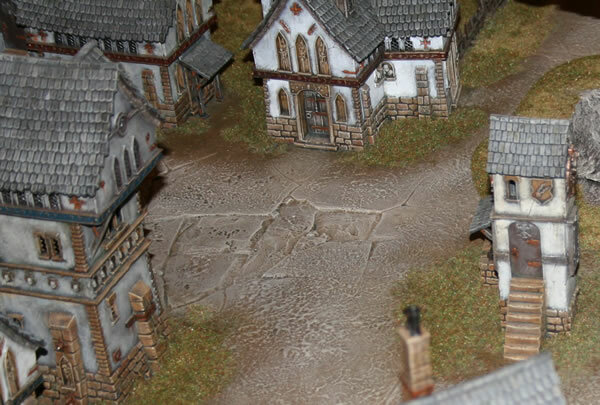 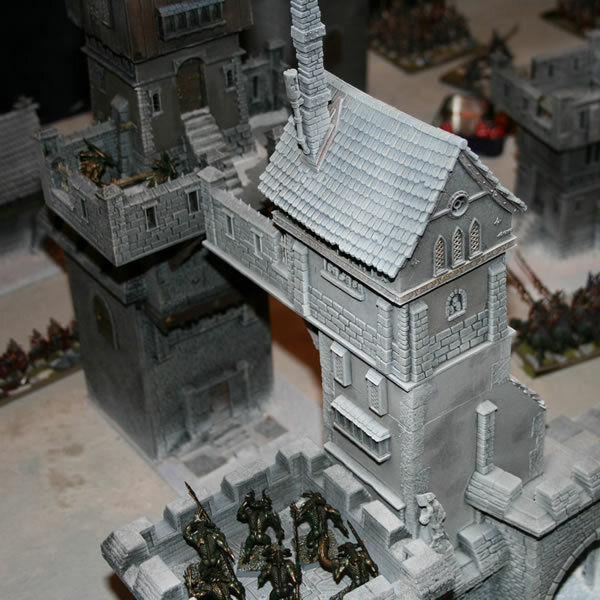 Snowy battlefield from GamesDay 2008, making use of the Arcane Architecture models and the Might Fortress.